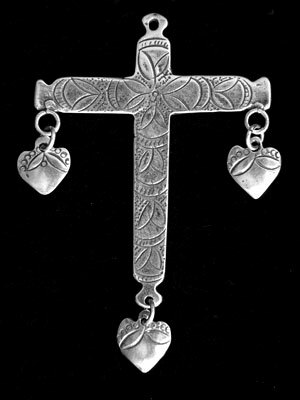 We specialize in Spanish Colonial Antiques and Latin American Folk Art. 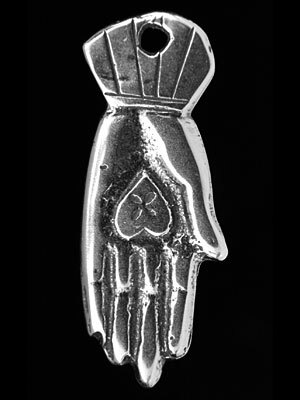 In our online store, we're offering hand finished sterling Silver Milagros and Yellow Bronze Milagros, prized by jewelry designers and collectors alike. 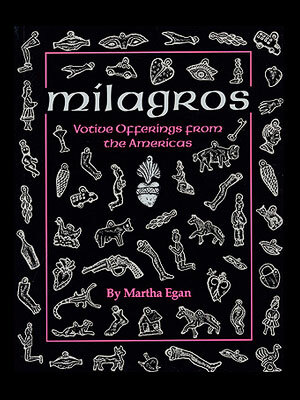 We also invite you to enhance your purchase with Martha Egan's book on milagros. Pachamama means "Mother Earth" in Quechua, the most widely spoken ancient, indigenous language of South America. In the Andes, she is god for the indigenous people, and the provider of all they need. 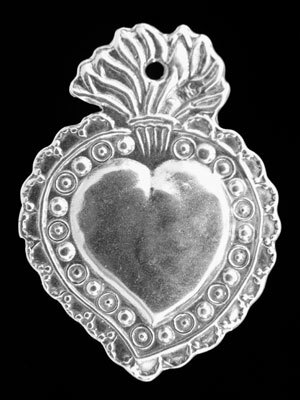 In 1974, when Polly and John Arango returned from five years in Latin America--John was the Peace Corps Director in Panama and Ecuador--they decided to open a Latin American folk art store in Albuquerque, and named it Pachamama. They invited Polly's sister, Martha Egan, to join them in the enterprise. In 1978, Martha bought the business from the Arangos, and remains its sole proprietor. She opened a second store in Santa Fe, in 1988, and closed the Albuquerque store in 1992. Martha moved Pachamama to Canyon Road, in Santa Fe, in 1994. With every intention of retiring, she closed Pachamama in the spring of 2017. Predictably, that lasted about three months. The next incarnation of Pachamamal opened December 1, 2017 at Casa Perea Art Space in Corrales, New Mexico.